Welcome to the Butch Reimer Memorial Scholarship Fund Website! 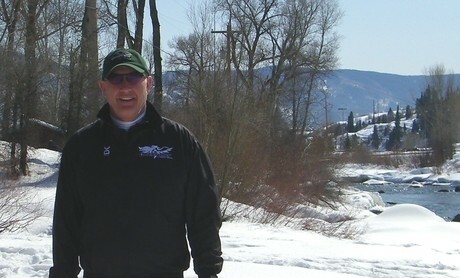 Butch played and coached Nordic skiing, fast pitch softball, and soccer at many competitive levels. At the time of his death, he was the coach of the Varsity boys' and girls' Pulaski High School soccer teams as well as the men’s and women’s coach at the University of Wisconsin - Green Bay (UWGB) for the highly successful Nordic ski team. Previously, he had also coached the UWGB's fast pitch softball team. He dedicated his life to excellence in all aspects of sports including having a strong work ethic, passion, sportsmanship, and continued self-improvement. Our mission is to uphold Butch's love and legacy by distributing funds for educational support for student athletes pursuing higher education and who exemplify Coach Reimer's interests, values, and passion for athletics. Funds will be distributed to two worthy students annually - one to a Pulaski High School Senior and the other to a UWGB Nordic Ski or Softball team member. The scholarships in his memory were first awarded in May 2011 and every year since. Our goal, which was realized two years ago, was/is to establish a perpetual fund and to increase the level of scholarship awards in the future as the size of the fund continues to grow. We feel so honored to be able to keep Butch's memory alive through the scholarship fund and through dozens of deserving youth who love sports and academics as he did. Butch was diagnosed with acute myeloid leukemia (type M3) after weeks of non-descript fatigue and muscle pain; symptoms not entirely uncommon to the perennial athlete. He then developed a fever and flu-like symptoms that eventually led to a blood test and diagnosis of leukemia. 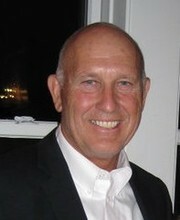 On October 19, 2010, three weeks after his diagnosis, Butch unfortunately lost his battle with his family at his side. He will be forever remembered and loved.